Thank you NNNO Advocacy Team Member Anne Llewellyn RN-BC, MS, BHSA, CCM, CRRN who wrote the following for Nurse Advocate, a website dedicated to enabling patients, families and healthcare professionals to understand how to better navigate today's complex healthcare system. "I usually don't watch the Miss America Pageant, but this year I tuned in as I had heard that one of the contestants was a nurse and I wanted to see how she did. As I watched the show, nurse Kelley Johnson from Colorado went against tradition and instead of singing, dancing or playing an instrument for the talent segment, Kelley shared her talent as a nurse in a moving monologue. Kelley told a story about Joe, a patient she cared for in the hospital where she worked. She and Joe talked many nights as she spent time to calm him when he became agitated. Together they helped each other and realized how valuable each were. Joe helped Kelley realize that she was not 'just a nurse' but was his nurse and the one member of the team who took the time to help him deal with his disabling condition of Alzheimer's. It was touching and really showed the impact a nurse has on a patient's life. Every nurse could relate as it told 'our' story. If you have not seen the monologue, here is the link. Ms. Colorado did not win the Ms. America contest but did come in third! The next day, the hosts of The View discussed some of the highlights of the pageant. Leading The View's panel Michelle Collins signaled out Ms. Colorado for producing a monologue where she 'read her emails' and talked about a patient with Alzheimer's. They showed a photo of Ms. Colorado in her scrubs with a stethoscope around her neck. Joy Behar looking at the photo said why is Miss Colorado in that costume and why is she wearing a doctor's stethoscope? Following the show, nurses from across the country took to social media to voice their disapproval. It was truly an unprecedented show of unity among nurses across all settings of healthcare system. As I read many of the hundreds of touching and funny posts that came across Facebook and Twitter, I was so proud to be a nurse and wondered how we as a profession would harness this show of unity and mobilize the country's 3.1 million nurses to address the challenges facing the U.S healthcare system. Then I recalled a national nursing organization that I am involved that would do just that! The National Nursing Network Organization is leading an effort to pass federal legislation, The National Nurse Act of 2015 (H.R. 379 and S. 1205) to designate the same individual serving as the Chief Nurse Officer (CNO) of the U.S. Public Health Service as the National Nurse for Public Health. Prepare and submit a biennial report to Congress on nurses serving in the U.S. Public Health Service. 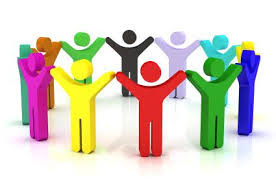 The grassroots effort is all volunteer, led by the National Nursing Network Organization's Board of Directors and Advocacy Team, [http://nationalnurse.org/aboutUs.shtml] of which I am a member. Significant progress has been made but there is more work to do. That is why I am asking for your support. Every nurse and every family member of a nurse needs to contact their member of Congress to let them know that you support The National Nurse Act of 2015. Read the bill-it is only two pages. Then visit the Take Action Page to locate information on how to contact your U.S. Representative and Senators. If you have any questions or need assistance please email me! 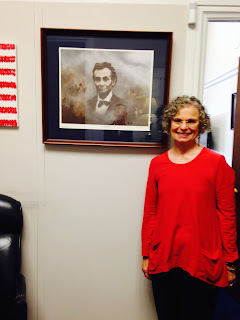 Thank you in advance for your work and for supporting the National Nurse Act of 2015!" Supporters from the East to the West gathered last month in support of the National Nurse Act of 2015 (H.R. 379 and S. 1205). Here are their reactions from this trip. On September 16, I had the wonderful privilege to visit congressional offices with Teri Mills, our indefatigable National Nursing Network Organization (NNNO) leader. H.R. 379 is such a common sense bill that one would think this could be voted out of Congress quickly. Like most initiatives in Congress, however, we worked to educate legislative staff about the merits of this legislation and the potential positive health outcomes that might be reaped by designating the Chief Nurse Officer of the USPHS as the National Nurse for Public Health. 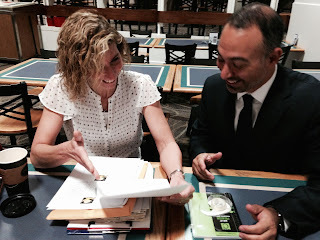 I thoroughly enjoyed these visits and spending time with leaders of the NNNO. I remain optimistic that we will see success in this Congress. "Last week I had the opportunity to join nursing advocates in Washington DC to advocate for the National Nurse Act of 2015. This bill has been endorsed by 110 organizations, including the Nurse Practitioner Association of New York State. The timing for H.R. 379 / S. 1205 has never been better, especially with every elected member of Congress being concerned about the economic burden of chronic, preventable conditions. It's great that this bill can be implemented without needing to ask for additional funding. Nurses are trusted credible messengers, and designating the Chief Nurse Officer of the PHS as the National Nurse for Public Health will give this nurse leader the prominence, stature, and visibility needed to transmit important health promotion and disease prevention messages to nurses and other health professionals. 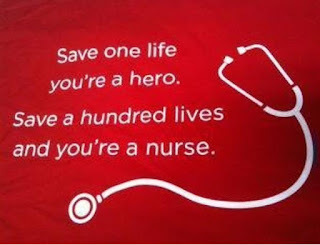 One nurse touches the lives of many patients and their families each and every day. Multiply this by 3.1 million and we have a prevention network second to none. I teach health policy this term to graduate nursing students and definitely will be sharing this bill and my experience on Capitol Hill with my students." I was incredibly proud this past week, marching along through the halls of our US Congress, as we lobbied for the National Nurse Act of 2015. I felt empowered knowing that nurses from all over our nation, and worldwide now, armed with their stethoscopes, have unified in efforts to educate the public on what we really do! The National Nursing Network Organization has been touting this nursing alliance going on 11 years now with the foresight that, 3.1 million strong, nurses can and will transform the health of our nation when given some guidance, some inspiration, and a platform for a true nurse leader. 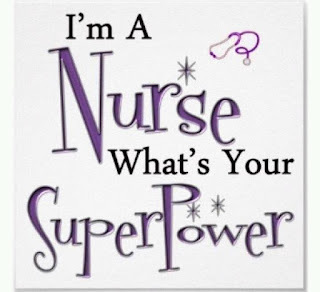 The National Nurse Act of 2015 can do just that! The vision behind this legislation gives an enhanced and more prominent voice to our Chief Nursing Officer of the United States Public Health Service, a position that already exists but doesn't have a real visible platform to disseminate their important messages. This legislation would help launch the health promotion and disease prevention efforts of the USPHS into our local communities led by nurses united across our nation. You can see what happens when one nurse speaks up! As our goal to achieving this law accelerates, contact us to find out how you can help us to keep up the momentum! Thank you for your co-sponsorship Representatives Lou Barletta, G.K. Butterfield, Yvette Clarke, Elise Stefanik, Pat Tiberi, and Paul Tonko! Advocates of H.R. 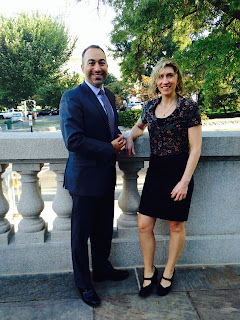 379, The National Nurse Act of 2015 are pleased to announce Rep. Lou Barletta's (PA-R-11) support for this legislation. Rep. Barletta is a member of the House Nursing Caucus. When writing to inform the NNNO of his decision to co sponsor, his office stated, "We think it's a great step forward on elevating the nursing professional and what nurses do to help stem chronic conditions with preventative care—it's a huge savings to our health care system." It is an honor to have the support of Rep. G.K. Butterfield (NC-D-1), Chair of the Congressional Black Caucus as a co sponsor for H.R. 379, The National Nurse Act of 2015. 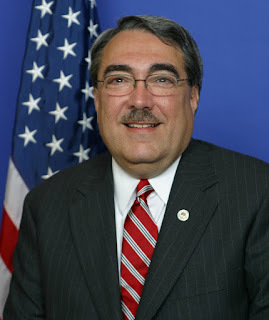 [https://www.congress.gov/bill/114th-congress/house-bill/379?q=%7B%22search%22%3A%5B%22Hr+379%22%5D%7D] Rep. Butterfield is known to be an advocate for the people. Rep. Butterfield serves on the House Nursing Caucus. He is also a member of the Health Subcommittee of Energy and Commerce and is currently the Chief Deputy Whip of the House Democratic Caucus. Another member of the Energy and Commerce Committee to sign on to H.R. 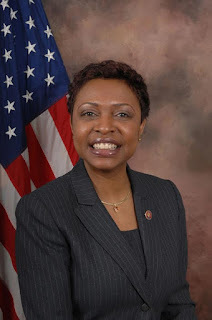 379 is Rep. Yvette Clarke (NY-D-9).According to her website, Rep. Clarke is an activist and a community organizer and now as a legislator, her boldness, compassion and love for the people has allowed her to become an effective leader and an outspoken advocate on numerous issues of great importance to her constituents. 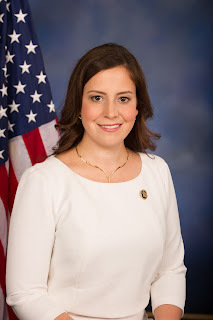 Rep. Elise Stefanik (NY-R-21) has also joined the growing list of co sponsors for the National Nurse Act of 2015. Rep. Stefanik is in her first term in Congress and is proud to be the youngest woman ever elected to Congress in United States history.Rep. Stefanik serves on both the House Armed Services Committee and the Committee on Education and the Workforce. 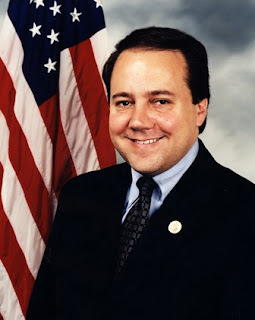 Rep. Pat Tiberi (OH-12-R) is a member of the House Nursing Caucus. He is on the lookout for common-sense measures that lower the cost of health care. He joins a fellow Republican, Representative David Joyce (OH-14-R), Co-Chair of the House Nursing Caucus, in co sponsoring H.R. 379. Rep. Tiberi serves on the Ways and Means Committee. Rep. Paul Tonko (NY-D-20) helped push the list of co-sponsors for the National Nurse Act above 40. 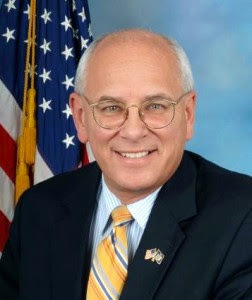 Rep. Tonko believes affordable and accessible health care not only improves quality of life, it makes businesses in the United States more competitive internationally. He also is a strong advocate for mental health parity. Rep. Tonko serves on the Energy and Commerce Committee, the oldest standing committee in the House.